The butterfly is also interesting to be a vector image. I create vector drawings of butterflies by swapping the color matches my imagination. 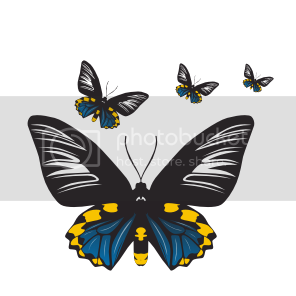 And interested in vector file of this butterfly, please download a free.